Thirdkulture Films is an independent production company which specializes in documentary films, short videos, online videos and corporate videos in Mumbai and New York City. 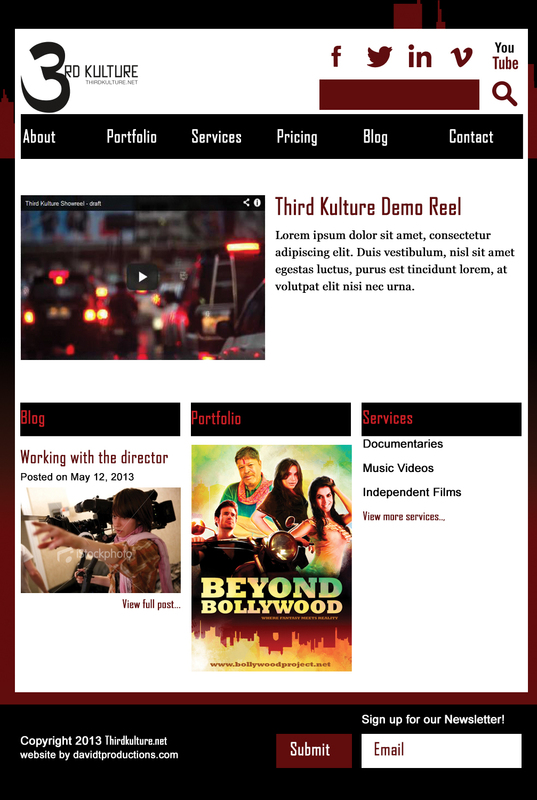 Thirdkulture Films had a website that was a static HTML website. They were frustrated with not being able to make updates themselves. They also needed help with other aspects of their website such as branding, usability, and site organization. I built a custom WordPress theme and installed WordPress on their server. Now they can make updates themselves and reduce the cost of updates while increasing their productivity. I also researched their target audiences by creating user profiles to construct a information architecture that would answer the wants and needs of their users improving usability.